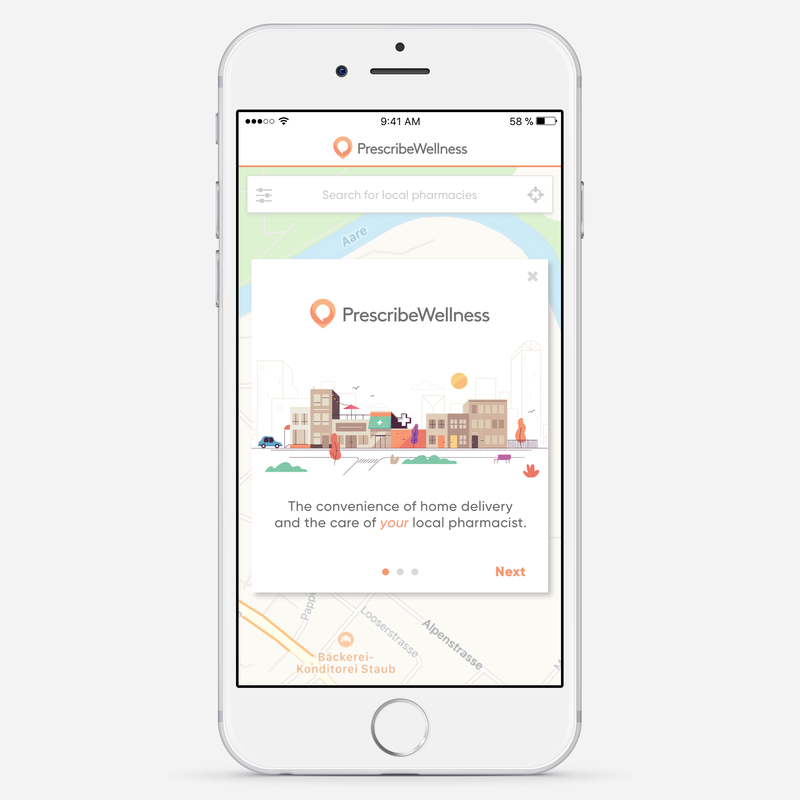 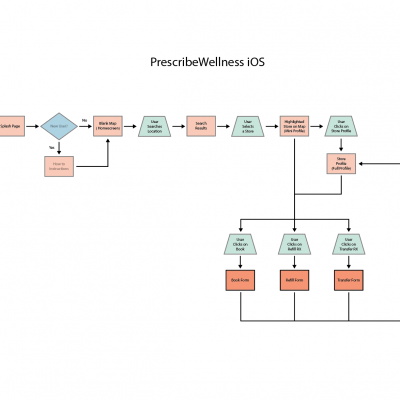 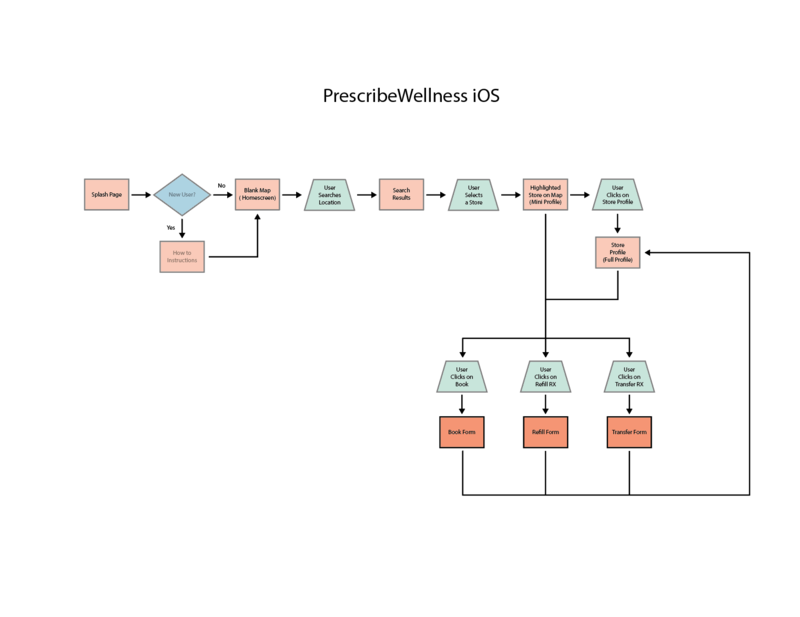 PrescribeWellness is a SaaS company providing a platform for independent community pharmacies to compete in a digital age. 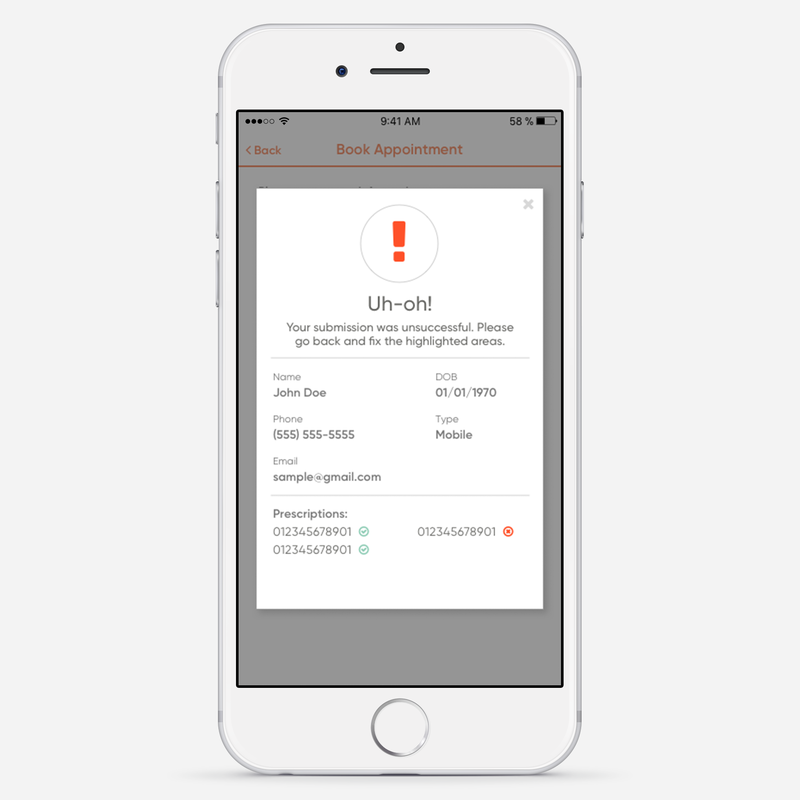 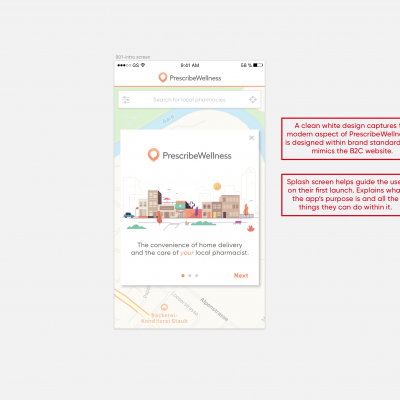 The native mobile app was designed to replicate what could be done on the website. 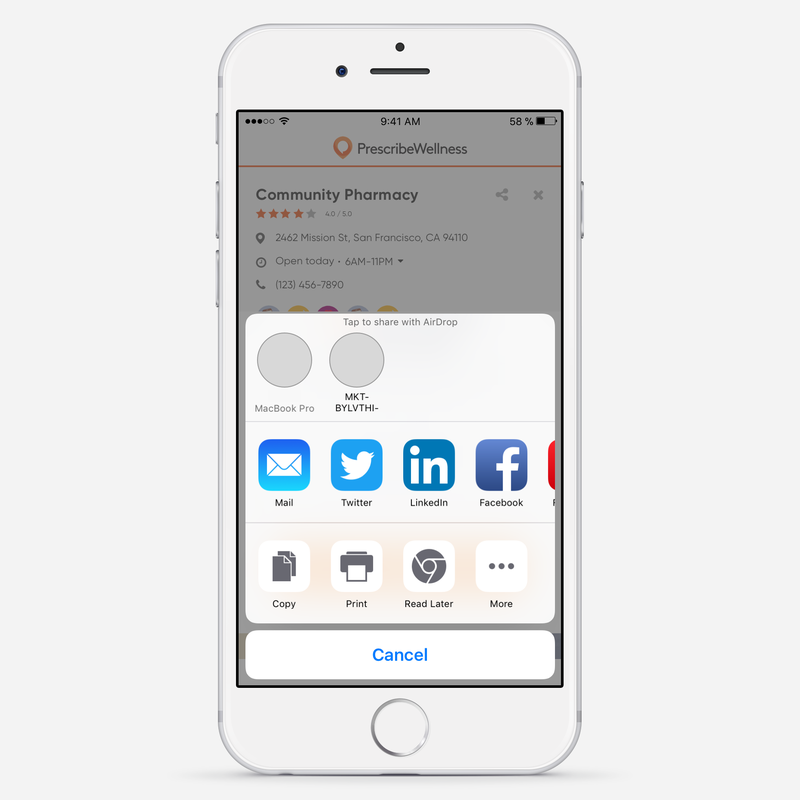 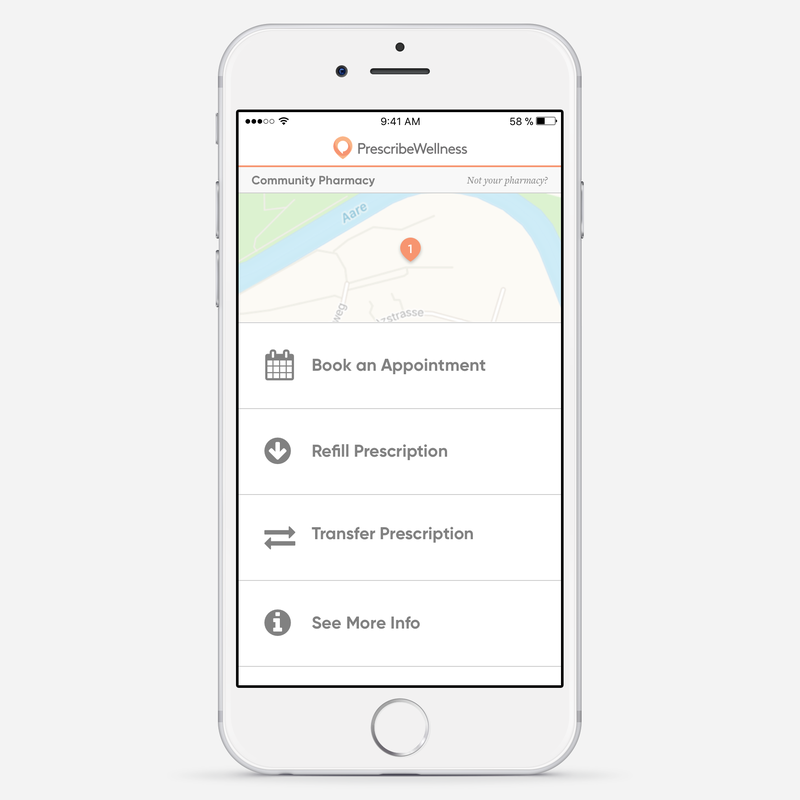 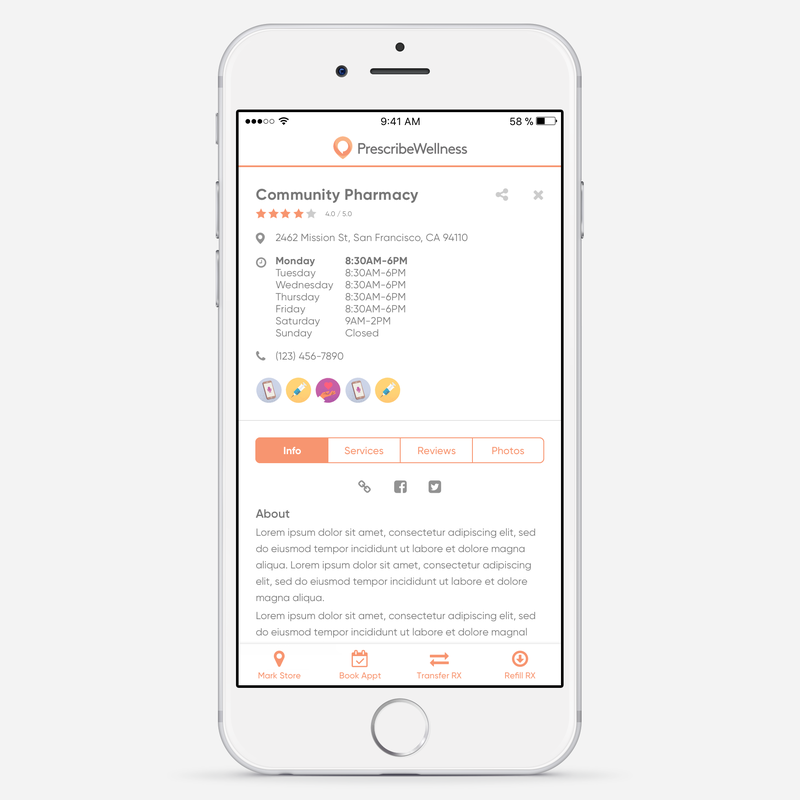 It allows users to search for local community pharmacies near them, book appointments, leave reviews, and refill existing medications. 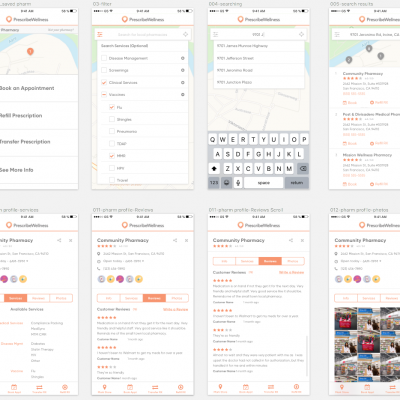 This app has yet to be released to the app store. 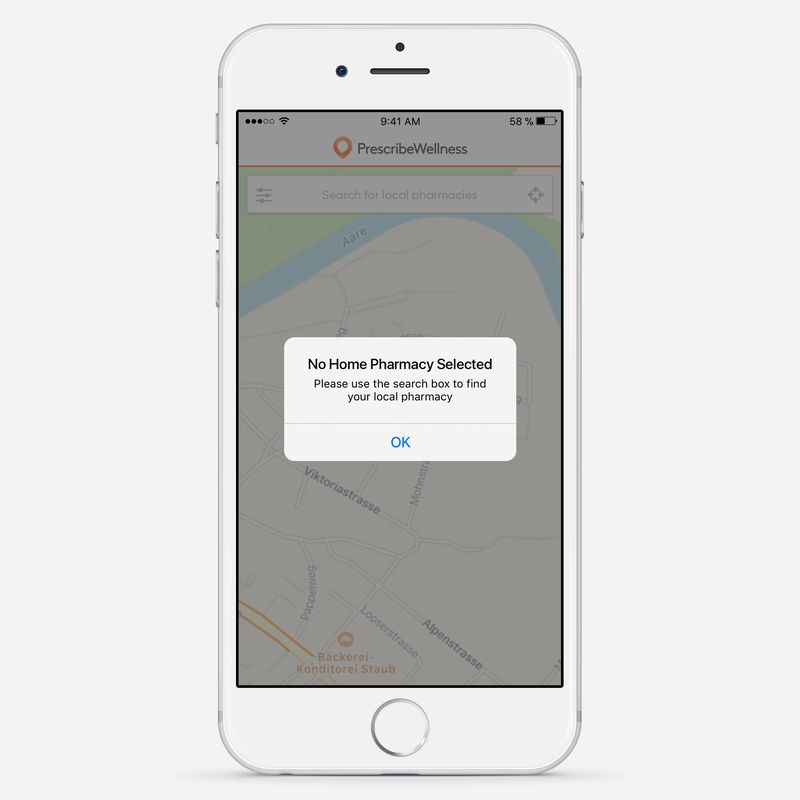 Our customer’s patients do not currently have an easy way to transfer, refill or order prescriptions from their pharmacy. 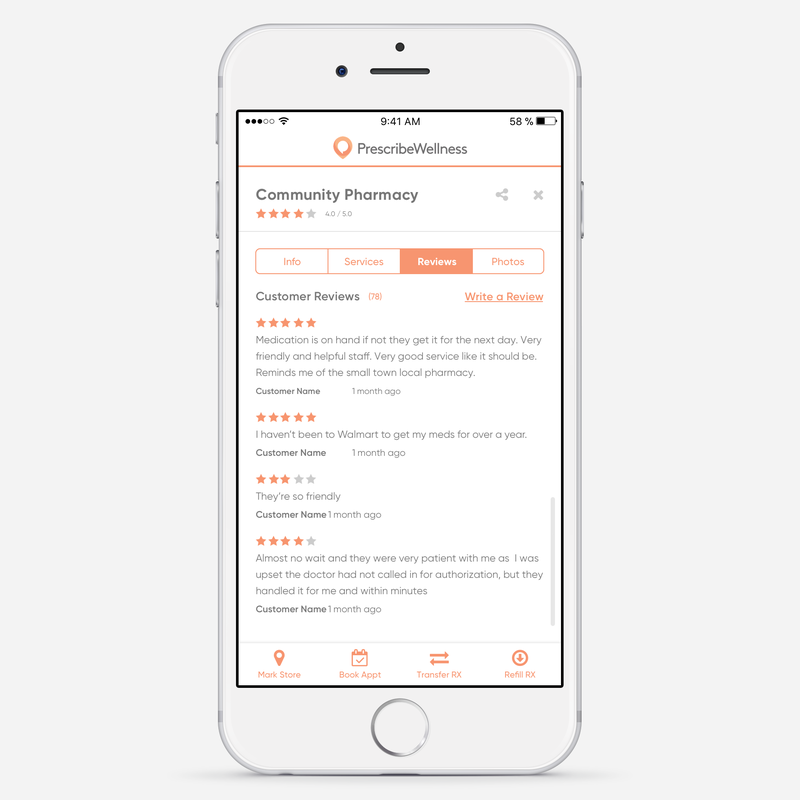 Patient’s do not currently have a pharmacy-only option to seek out reviews and ratings of nearby stores. 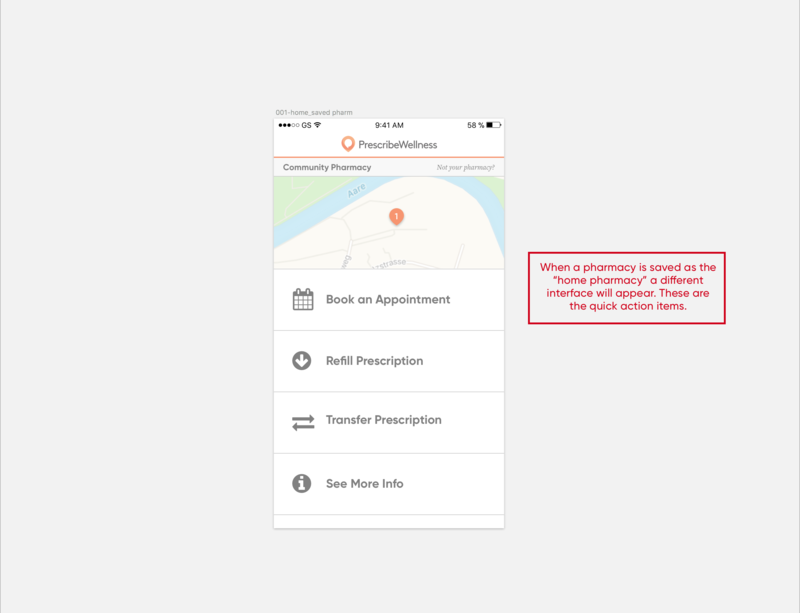 When traveling, patients do not have an easy option to transfer prescriptions from one local pharmacy to another. 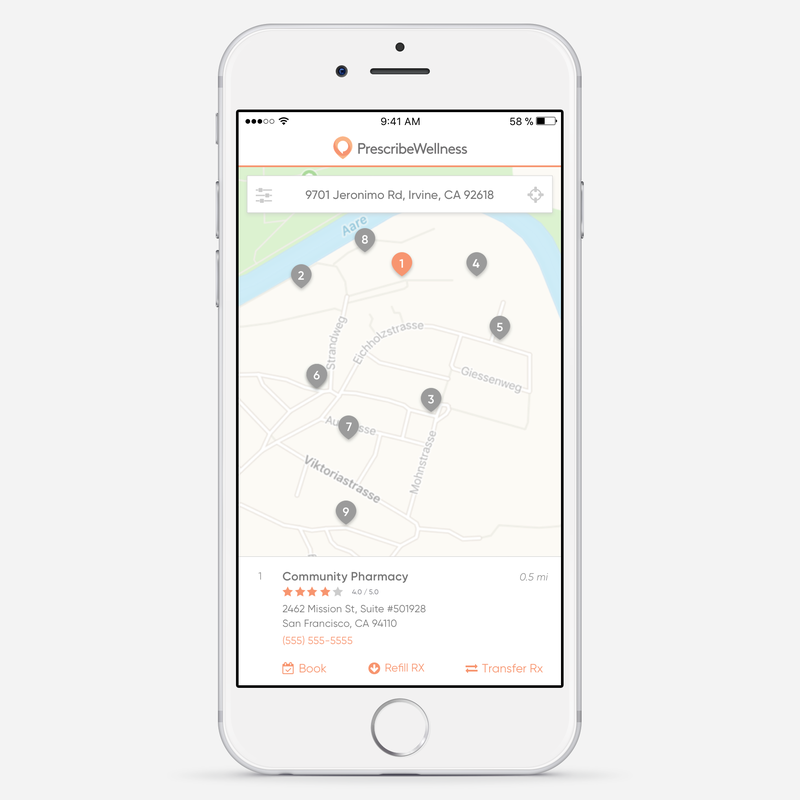 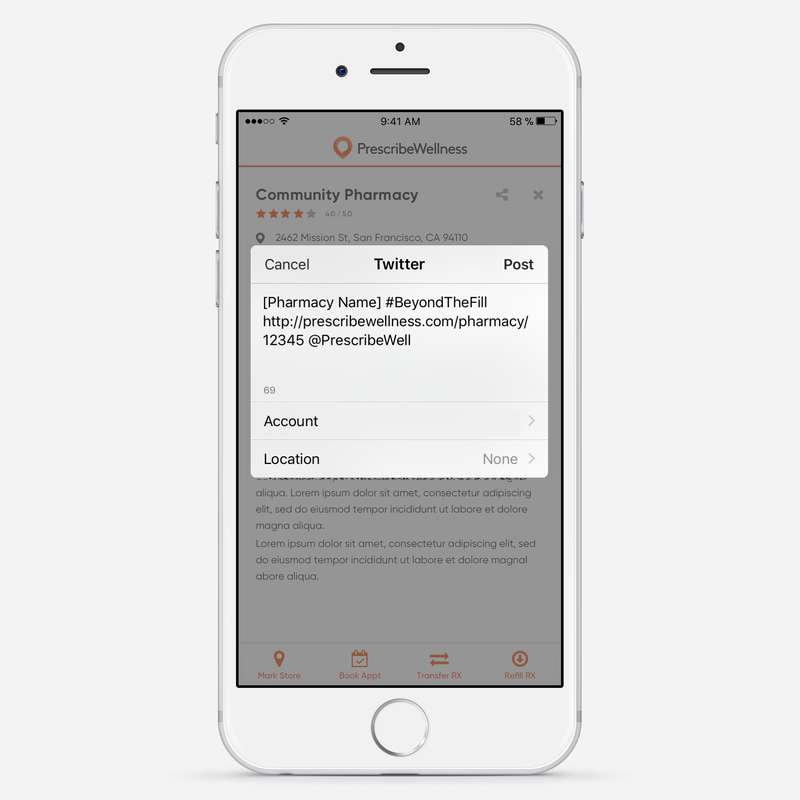 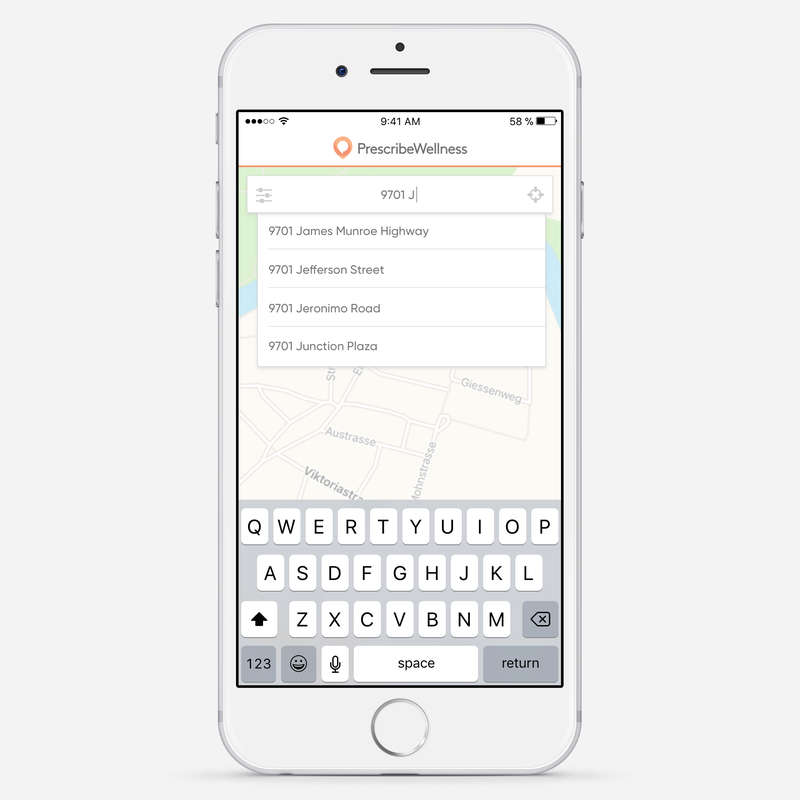 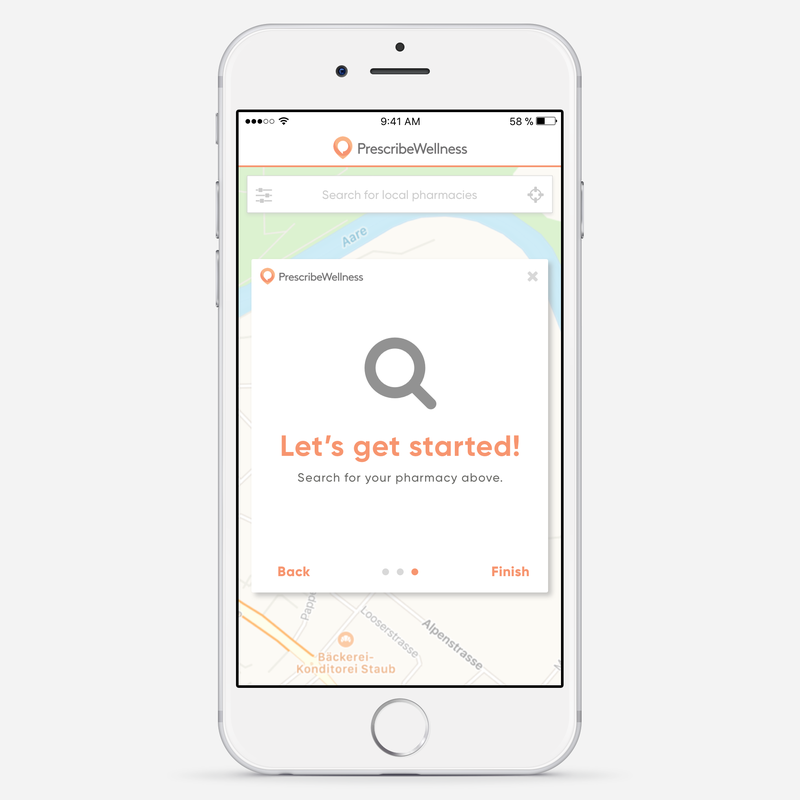 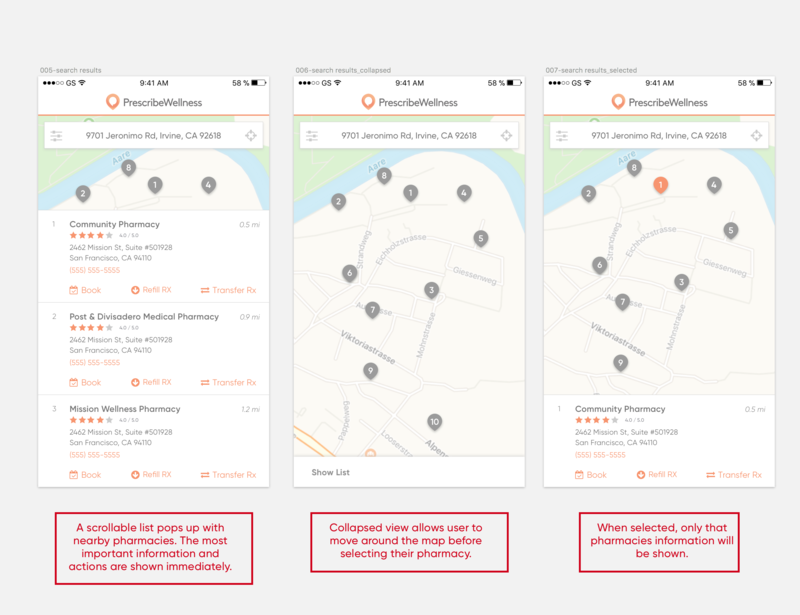 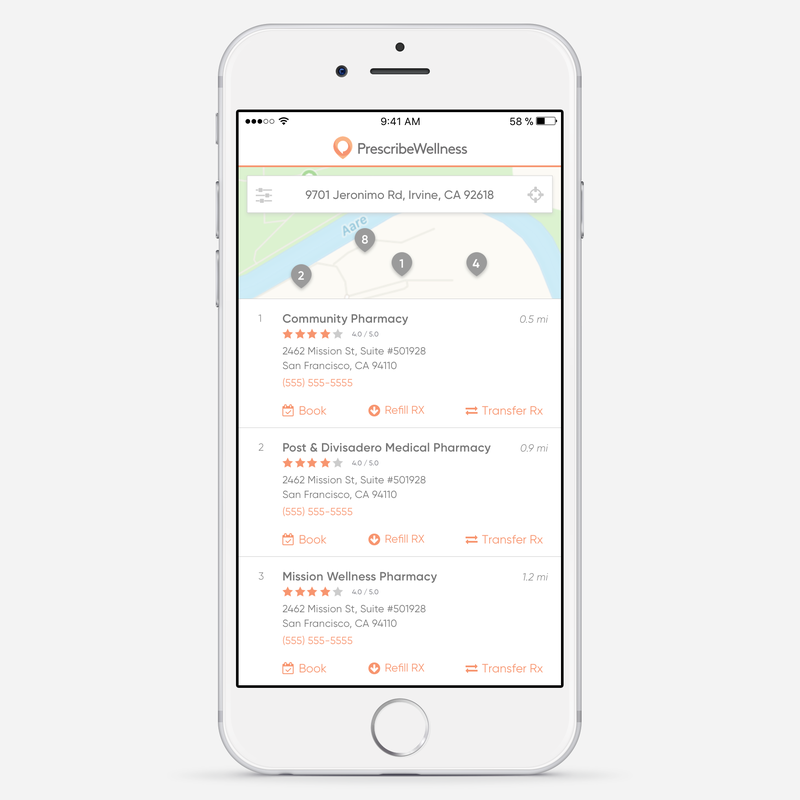 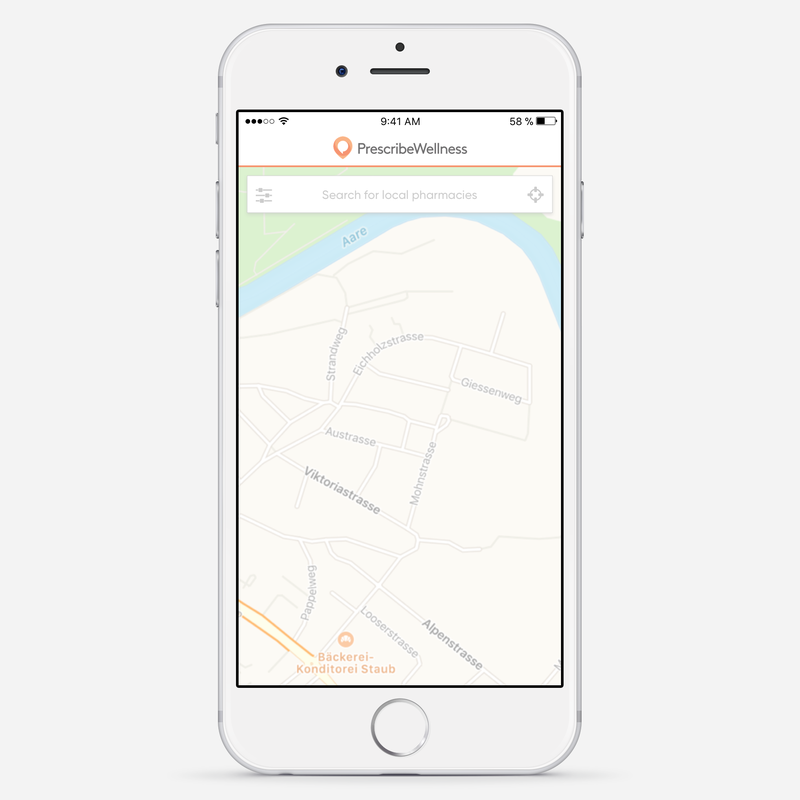 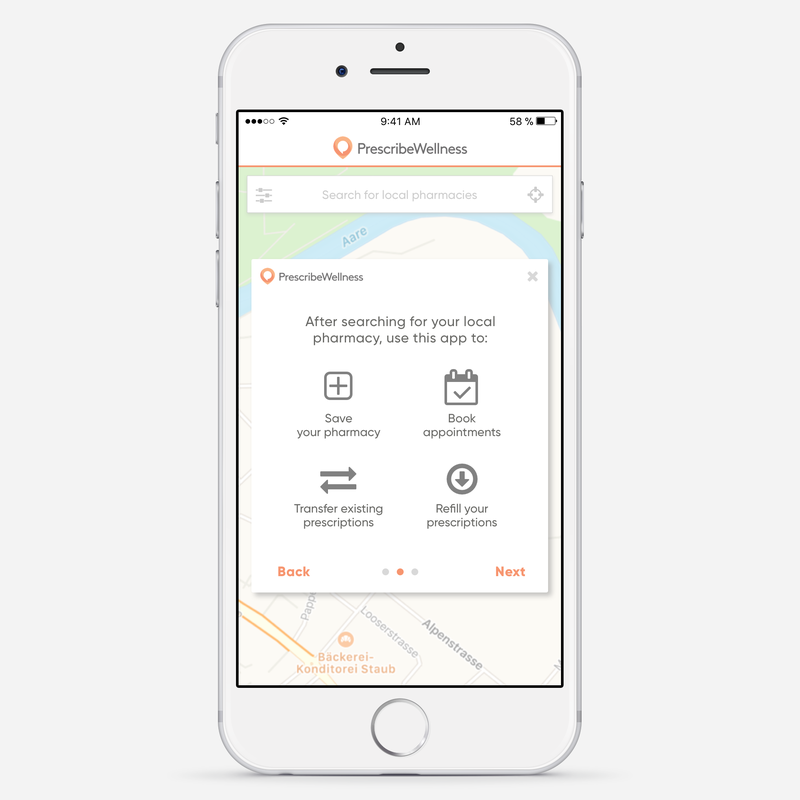 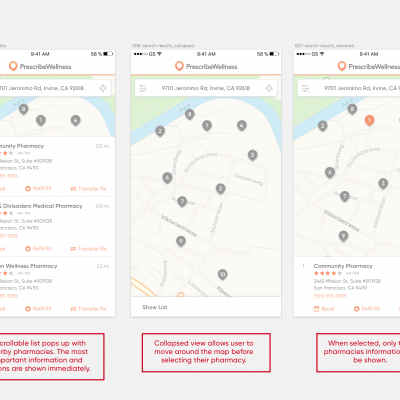 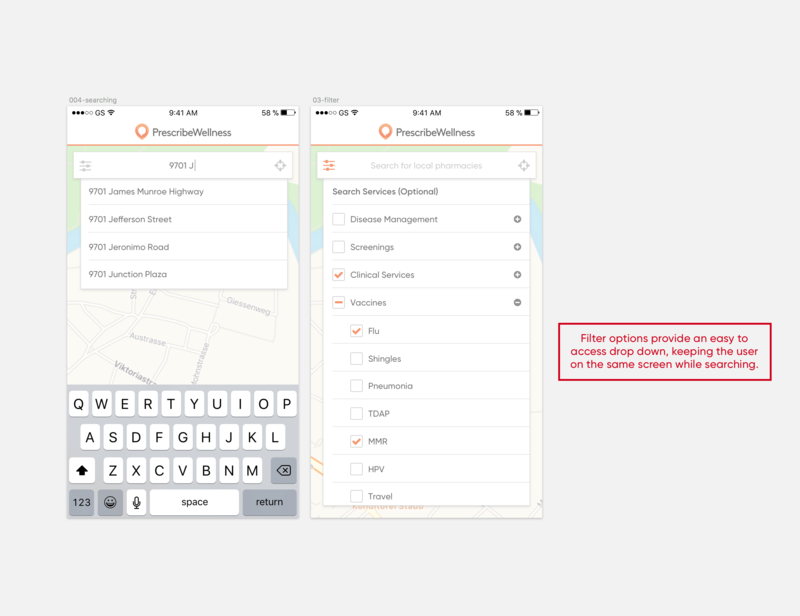 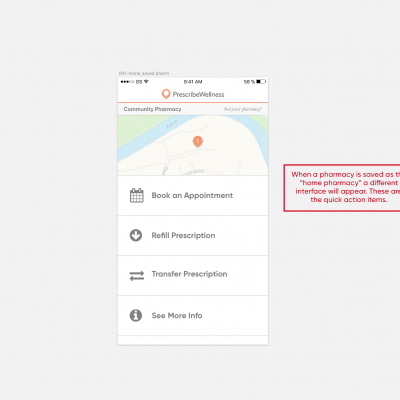 Allow users to find nearby local community pharmacies. 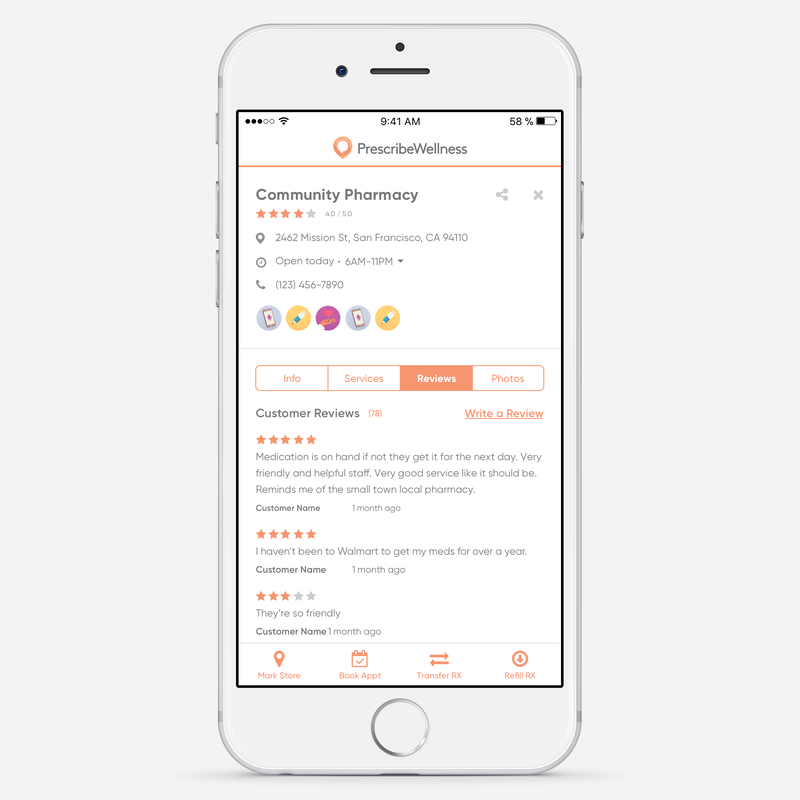 Drive users to quality stores by showing the ratings/reviews from Google. 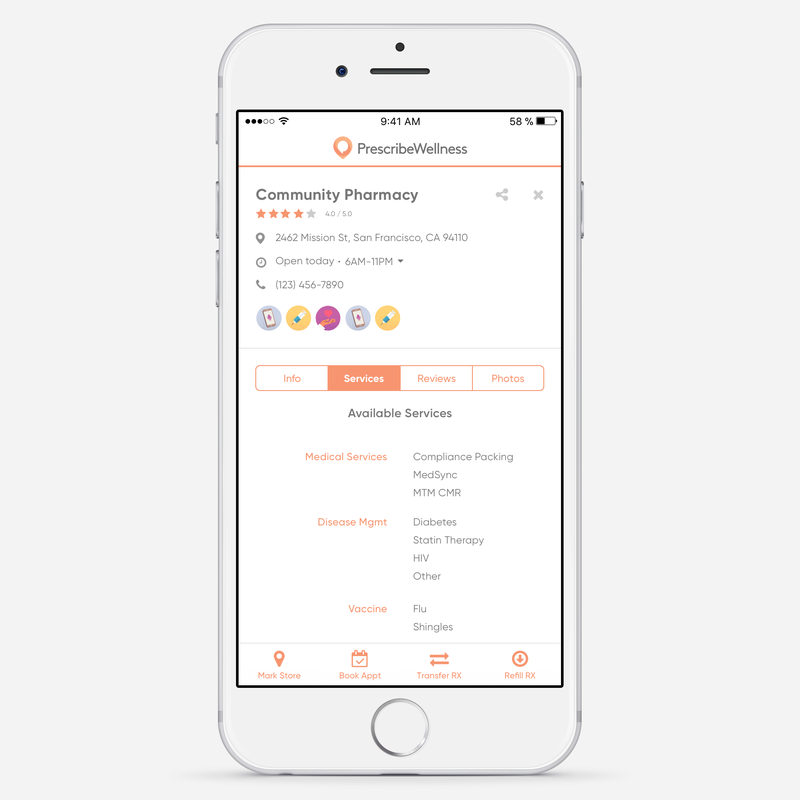 Increase pharmacy business by showing the services offered at every location. 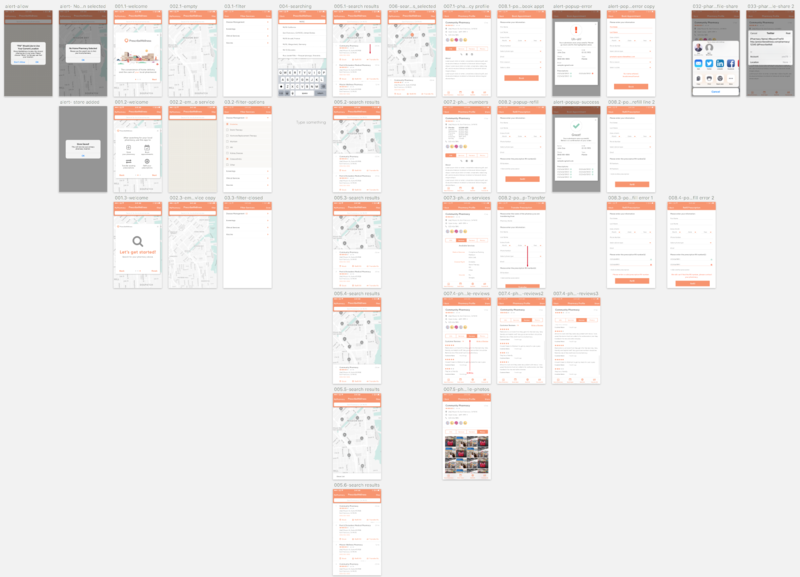 I jumped into this project during the tail-end of the design process. 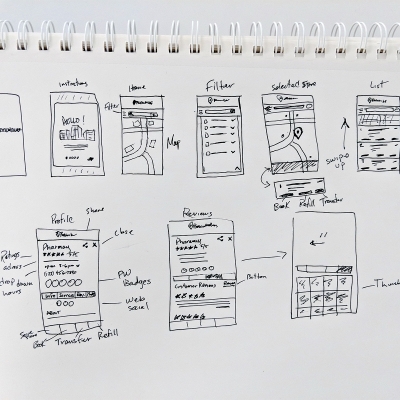 It was transferred to me by another designer after the wireframing process. 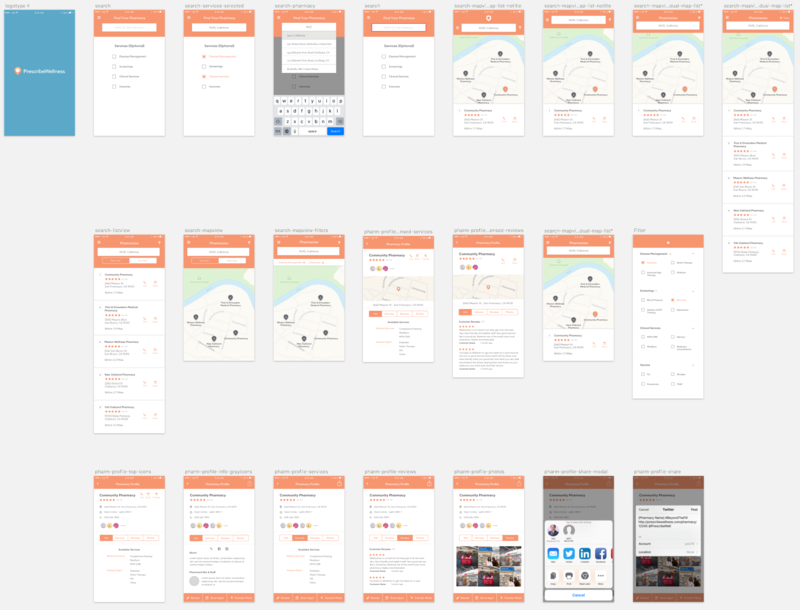 My role was to take the sketches and mockups and create a refined UI that was visually appealing, fit within brand standards and followed the iOS guidelines. 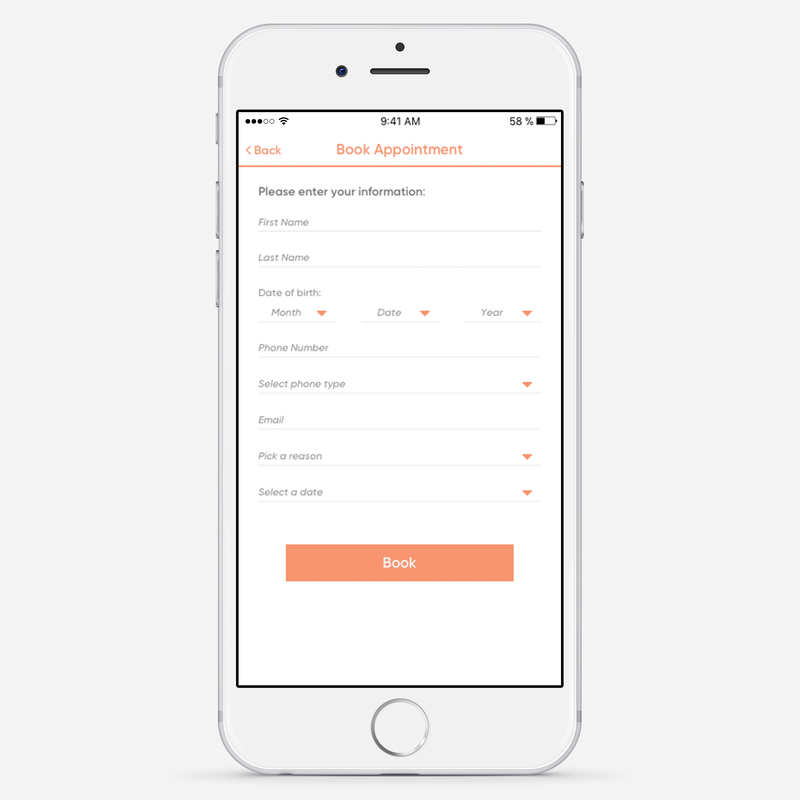 The main goal of the app was to mimic the functionality of our website and create a native mobile version that could run faster and smoother in the iOS interface. 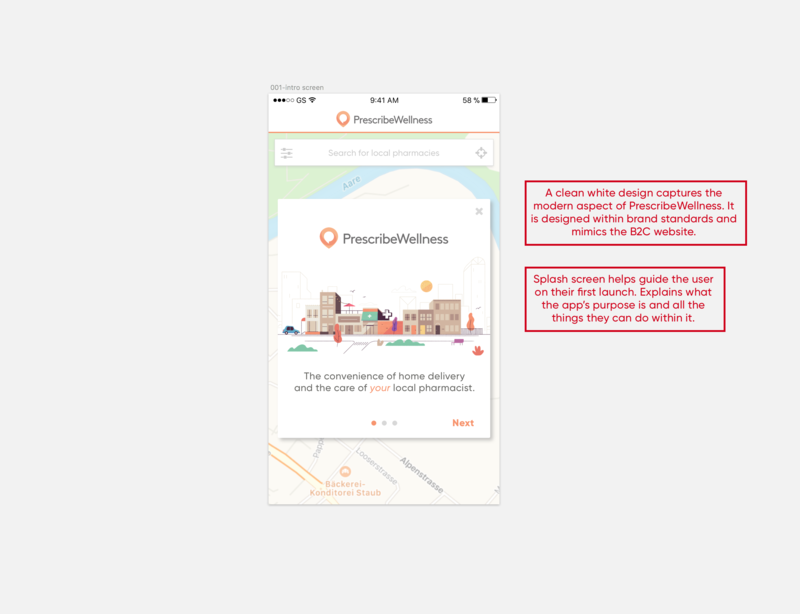 I wanted to create a friendly and familiar UI that an older demographic could intuitively figure out. 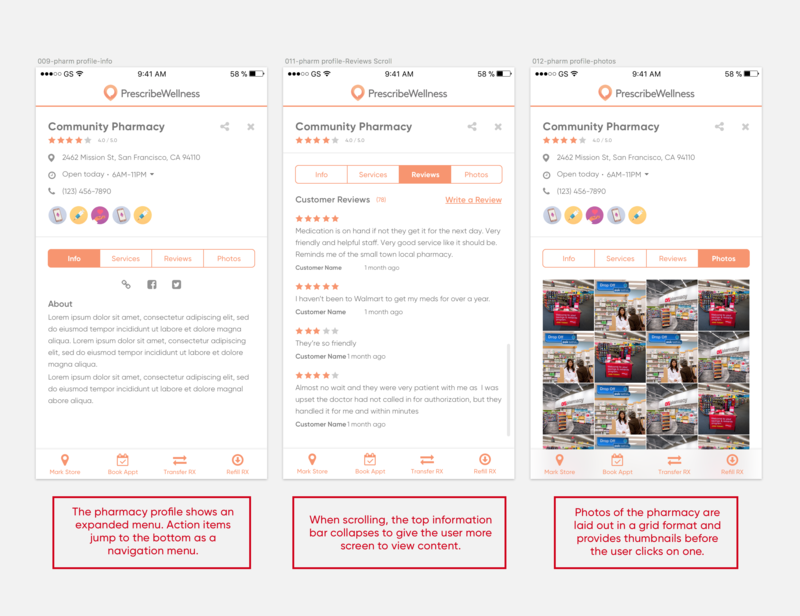 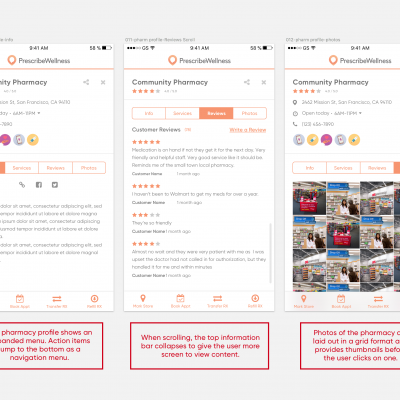 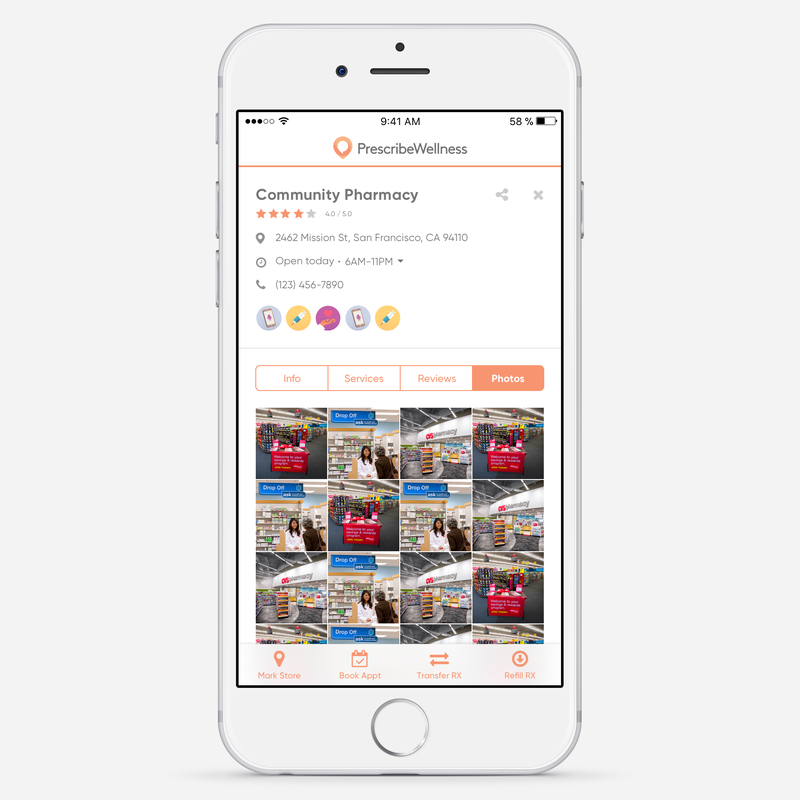 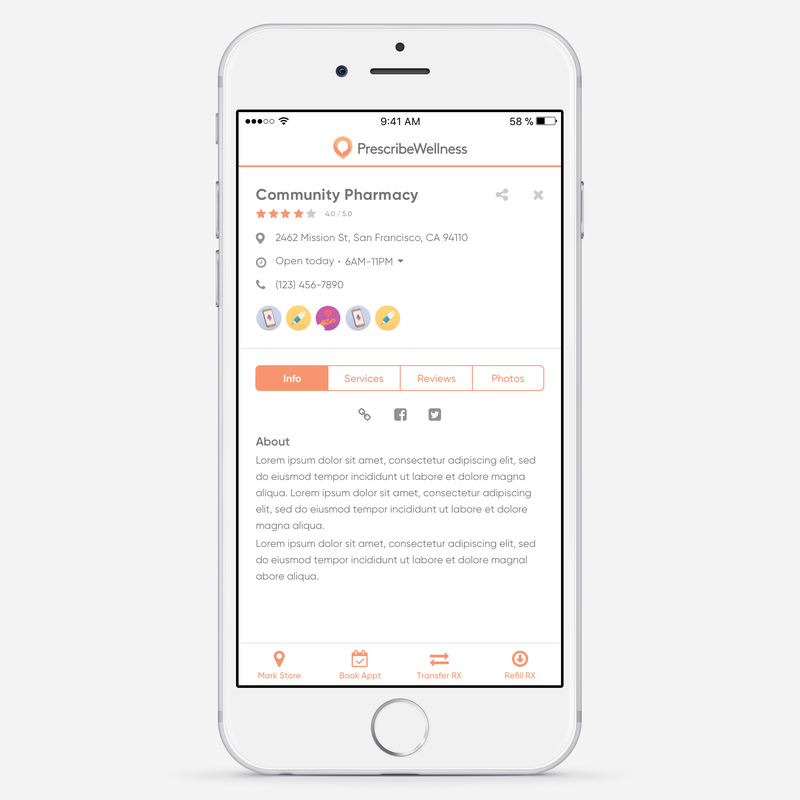 The users could search for a store and get a pharmacy profile where they could see reviews, benefits, information and most importantly refill/transfer to that store from their existing location. 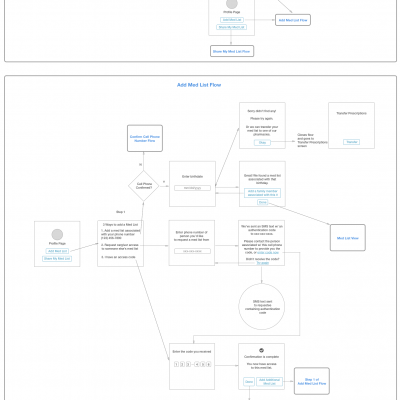 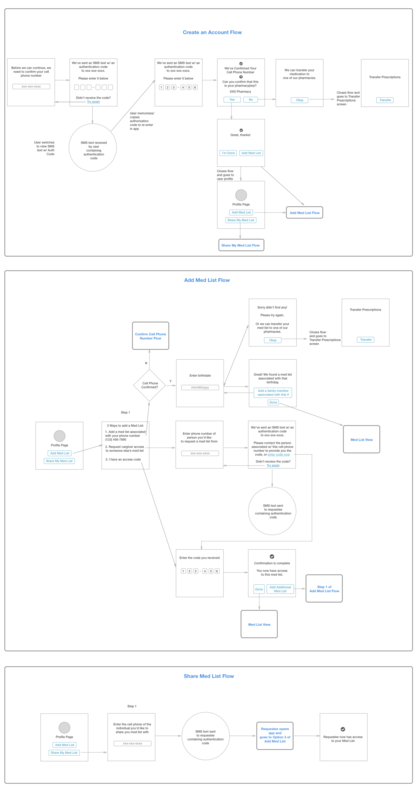 Working closely with the CTO and the other UX designer, we mocked up an outline to follow by doing sketches and flowcharts to solve the goals we had in place. 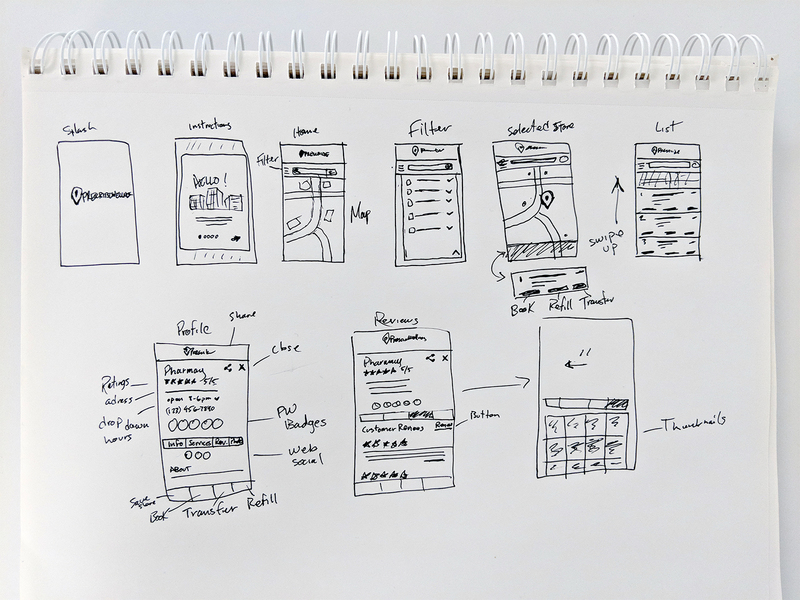 High fidelity mock ups were started by a fellow designer before I joined to help find the final solution. During this process, we worked with a development firm based overseas to do weekly sprints. 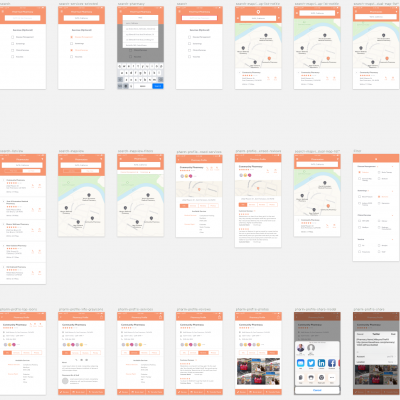 These are just a couple screenshots of the design evolution. 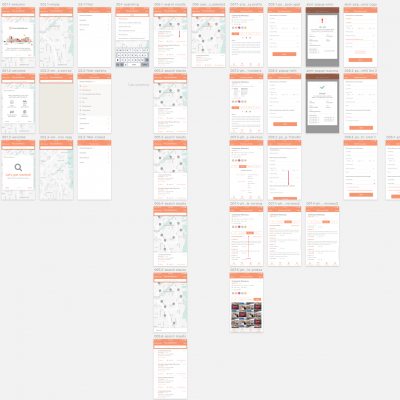 The final decisions are redlined in these screenshots.